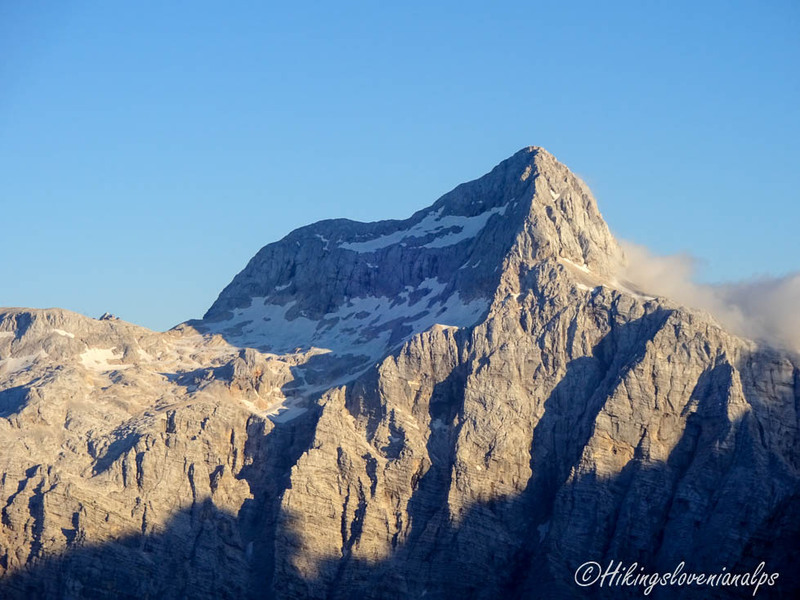 After more than a month without hiking, I was really looking forward to having a few days off to visit the Julian Alps! The weather forecast for the whole Slovenia was just perfect, so I started preparing the itinerary. Later I got a phone call from a friend, suggesting we should go for a proper climb, instead of just hiking. I had not been climbing for a while but it was hard to say no to alpinism! My eyes were upon the highest Slovenian mountains, so we agreed to climb the South Ridge of Škrlatica (UIAA IV-/III, 350m). The approach was very long and tiring (3-4hrs), so we decided to depart a day before the climb, reach the bivouac and spend the night there. There is a lot of debate when it comes to bivouacs about who are they meant for, the truth is they are mostly reserved for alpinists and emergencies. 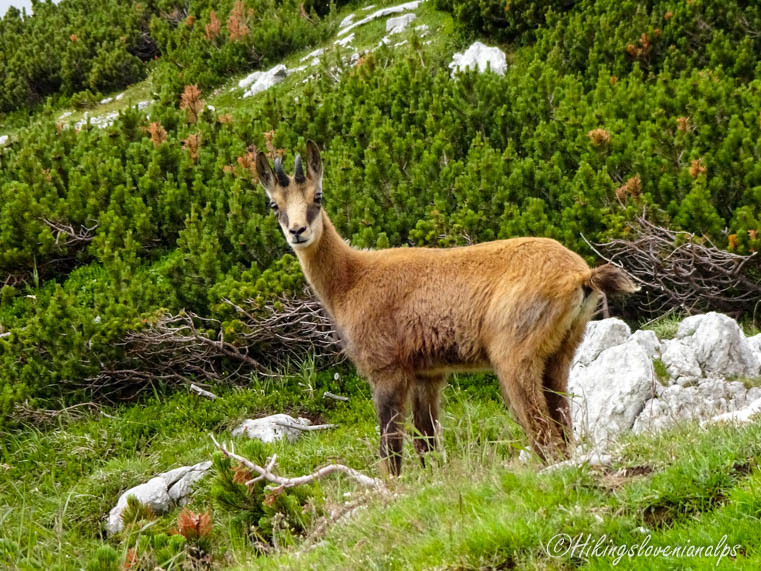 If you are planning a multiday hike, you are advised to use our numerous mountain huts. It was a hot, sunny Sunday afternoon when we started the hike in the Vrata valley. The parking lot was rather full, with dozens of parked cars, waiting for their owners to return from the surrounding mountains. The hike towards the bivouac (1980m) is fairly easy, with a few steeper sections, when the weight of my backpack (15kg) became uncomfortable. 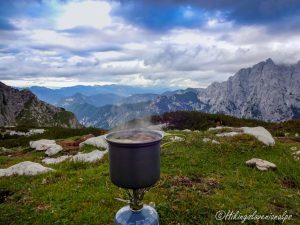 We reached the bivouac one hour before sunset, which gave us just enough time to enjoy a bowl of soup with majestic views on the surrounding peaks (Stenar, Dolkova Špica) and the north face of Cmir. The night was a bit cold, around 6 degrees Celsius which was less than expected. Thank goodness for my sleeping bag. Next morning we woke up on a beautiful sunny day, ready to climb Mount Škrlatica. The approach from the bivouac to the bottom of the climb took around one hour. The route we climbed is called South Ridge of Škrlatica (UIAA IV-/III, 350m). Due to the fairly easy grade, we decided not to use climbing shoes but climbed using the approach shoes we had. If you need a detailed description and a sketch of the route, you can find it in one of the most popular books on alpinism in Slovenia. Of course, you can always contact us, we would be pleased to assist you. The descent to the Vrata valley was much harder than expected. 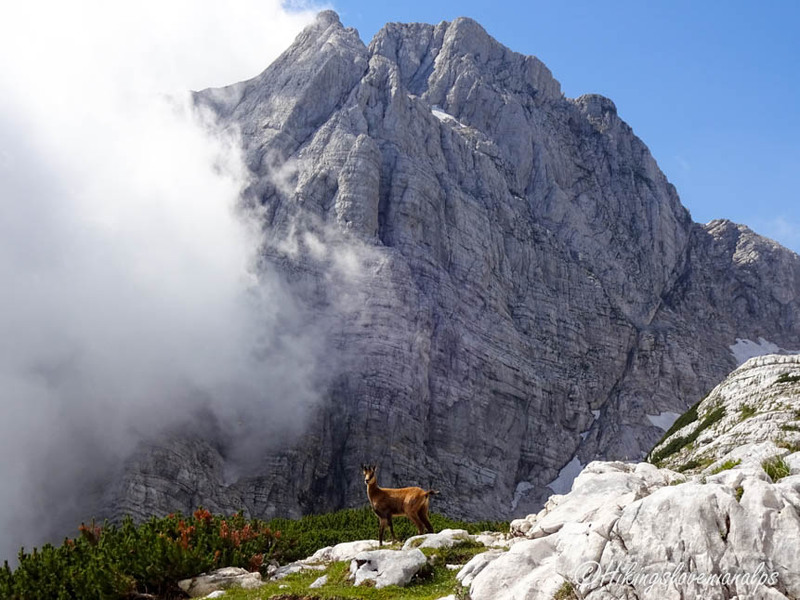 Compared to Mount Triglav, the normal route on Škrlatica is considerably harder than all the normal routes on Mount Triglav. 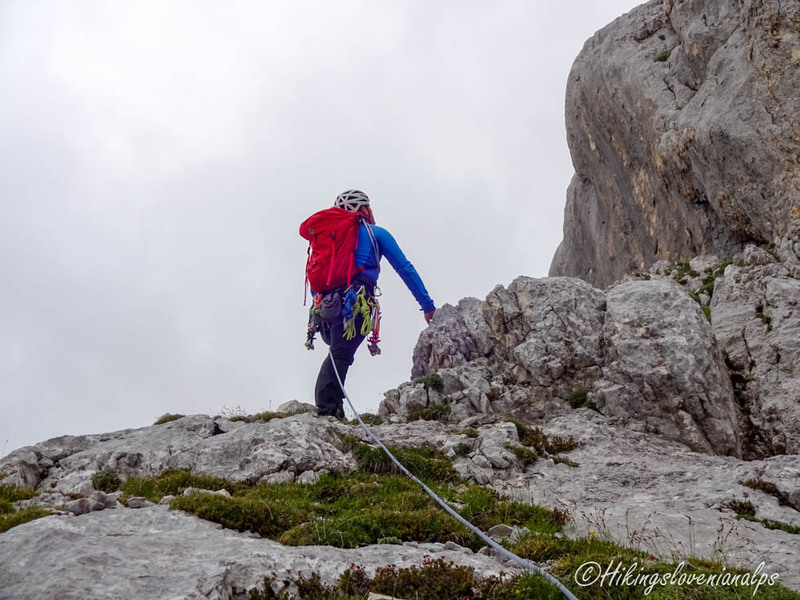 If you are not an experienced hiker, choose another peak, trust me! How to complete a great day in the Alps? Well, a pint of beer at Aljažev Dom usually does the job.